A passionate advocate for underrepresented people of all backgrounds, father, husband, strategic thinker, “triathlete” that is afraid of water. Likes: My kids making me laugh or be amazed by their coolness, get aways with my wife, afternoon lattes, biking in the woods, running along the river, dancing on the ceiling. Dislikes: Social Injustice, bad tattoos, days without coffee, open water. Jordan work as the Managing Director of Network Development for Feeding America, one of the nation's largest nonprofits. He is also a strategic consultant for organizations ranging from community foundations to a local brewery. Jordan has over 10 years of experience working in the space of food insecurity and systems level nonprofit leadership. He has a bachelor's degree in Nonprofit Management from the University of Northern Iowa, and a master’s degree in Nonprofit Management from North Park University. He is also a governor appointed commissioner to the Iowa Commision on Volunteer Service. Jordan has been married to his wife Katie since 2007. They live in Cedar Falls, Iowa with their two kids, Gabriel (7) and Eloise (4). 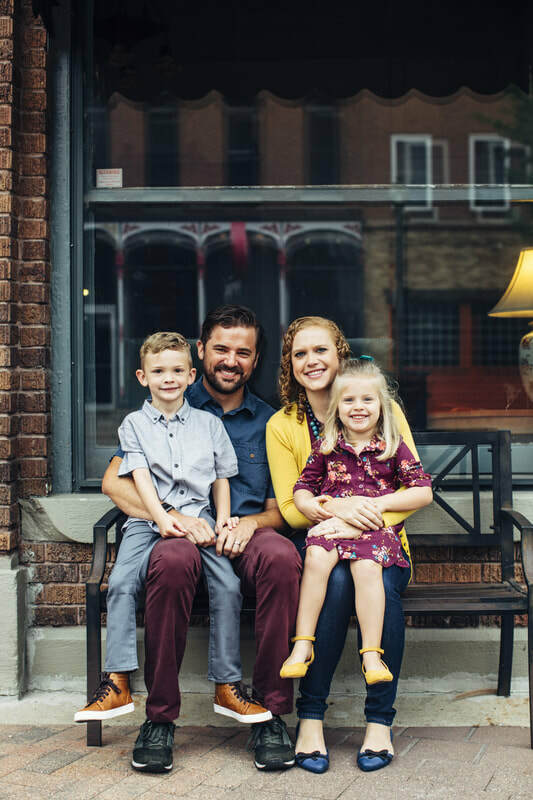 Together, Katie and Jordan strategically focus their family on supporting the efforts of organizations reaching vulnerable or marginalized populations in their community with innovative solutions. This includes support of Cedar Valley Angels, as well as other local and national organizations.